The whole process will take anywhere from 30-45 minutes depending on if there is EPLD upgrades to perform as well. If you had you vPC Peerlink on these line cards that would cause all the southbound switches to not have a northbound link out of the network. same rack. For low latency applications this may not be the best design. 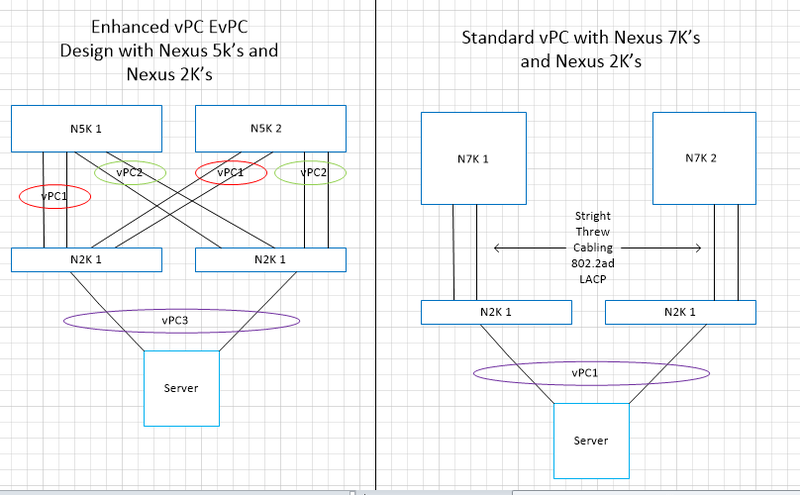 The N5K's to N2K's can be crossed and create multiple vPC's, while the N7K's to N2K's have to form a trunk with LACP 802.3ad then create the vPC from the N2k's southbound to the Server. 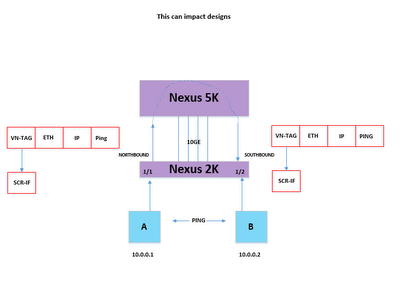 This is supposedly changing with NX-OS 7.0 Gibraltar this will allow the N2K's to be uplinked to two separate N7K's.